Hi there! Now here's something I haven't seen before in polishworld, metallic polish that straight away transforms on the nail to give a hammered look. And it didn't surprise me that it was Dance Legend that brought us this collection, they really seem to master any finish! 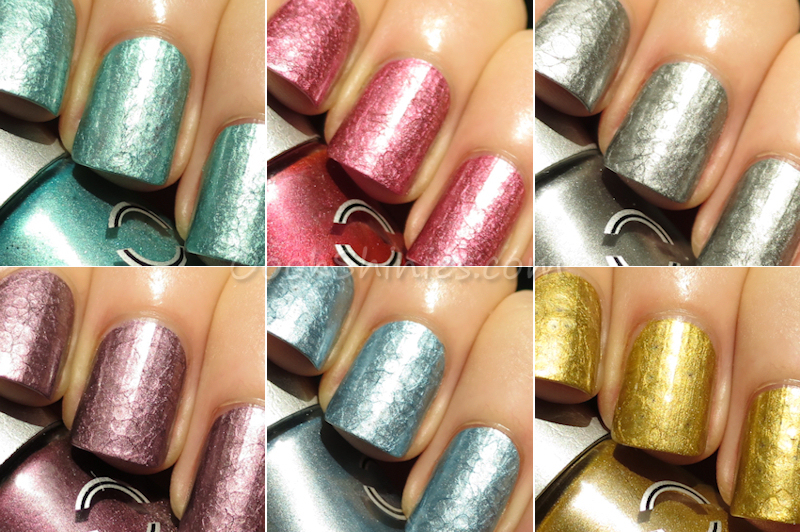 The HammeRing collection has 6 metallic polishes, and they all applied very easy and smooth, covered in 1 coat, and transformed pretty much as soon as the brush hit my nail. I'm showing them without base- and topcoat. One of my favorites, this kind of purple stays pretty if you ask me! This is one of my least favorites, simply because I don't think silver is so flattering for my skintone. But when it comes to the hammered metal look, it doesn't get more real than silver of course! As mentionned above, this one showed the biggest holes in the finish. But as you can see on the first picture, it's not as visible unless you look from really close (like the macro shots right above here). This one also had the least effect, but maybe that'll be different next time I use it? And last but not least, a seafoam green. The colors of these metallic polishes are pretty standard metallic colors in my opinion, what makes them stand out from any other metallic polish is their finish. I'm eager to see more colors with this finish in the future (I suspect they'll always be metallics since cremes and such won't show darker/lighter spots as well), but these 'standard' colors are a great start! And 1-coaters? Well you know what I'm thinking next! But would these work, with this funky finish? 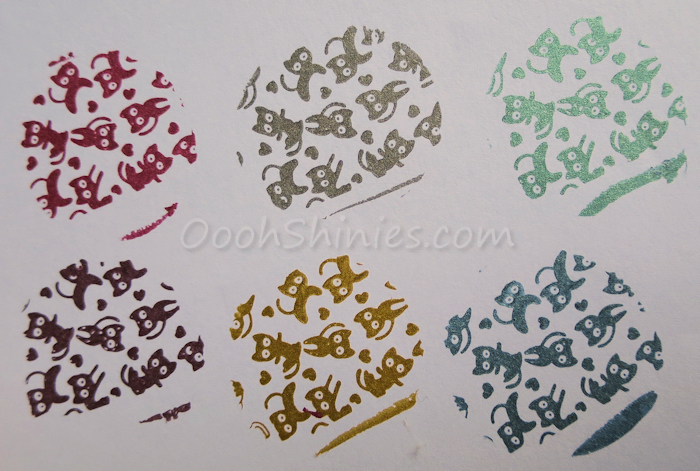 Ohh yes ^^ I also tried stamping on the nail, but I'll show that next time! So there we have it, something new, something funky, something that'll be perfect for when you're in a rush and would like something a little more special as well! It reminded me a bit of crackle, but better - I never really got into the crackle thing as much :) What do you think of this hammered look, and is there any color you'd love to see with this finish? You can find Dance Legend on Facebook, Instagram and of course on their website. The website also has links to all webshops worldwide that sell Dance Legend!